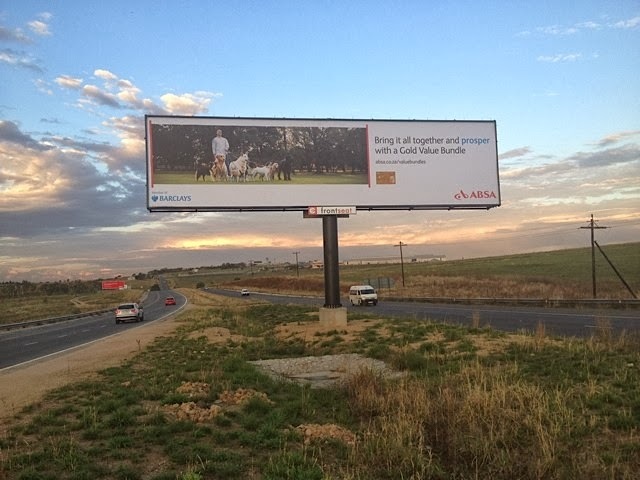 Its only fair for us to brag, just a little, about our brand new Billboard towards the Lanseria Airport. In its grace and glory this billboard stands up between the two roads, known as a Gantry to some, at 4.5 x 18metres, it boasts an enormous height and a booming traffic count for all to see, international or local, to and from the airport. Our signature logo marks the billboard high and proud, placing our company on the map, to create top of mind awareness for all. We love our new billboard!!! Rollersigns – Anything else is just a waste of space OutDoor Media- Moving on Up! !